Mitsubishi is planning to unveil a new mid-priced 3D 1080p home theater projector at CEDIA on Sept 8. This all new DLP-based projector will be rated at 1600 lumens, 30,000:1 full on/off, and 700:1 ANSI contrast. The MAP price will be $3,495. We've had an advance look at the HC7800D, enough to pass along some initial impressions but not enough to do a full review. Two items stand out as particularly remarkable. First, the 3D image is as clean as we've yet seen. Cross talk is reduced to somewhere between negligible and completely invisible depending on how good your eyes are, and the bizarre motion artifacts that plagued many of the first generation 3D machines are gone entirely. The rapid rowing sequence in The Ultimate Wave: Tahiti looked even tighter than it did on the Panasonic AE7000, which itself is a major step in performance beyond earlier 3D projectors. Second, the 2D to 3D conversion is remarkable. This is the first time we've seen 2D to 3D conversion that was worth the bother. Normally that conversion provides just enough increase in depth perspective to be noticeable but not enough to be impressive. As is true of all 2D to 3D conversions, the depth remains entirely behind the plane of the screen. But on the HC7800D, so much depth perspective is achieved that it begins to resemble authentic 3D rather than a conversion. We'd need to spend more time exercising it before making any final assessment, but from what we saw, this may be the first implementation of 2D to 3D conversion that I would actually use in my own theater. If you are going to CEDIA and you are interested in 3D projection, we would suggest that you not miss the HC7800D in the Mitsubishi booth. We won't be able to get extended stick time with a review sample until after CEDIA, but we are anxious to set it up against the Panasonic AE7000 and the new units from Epson and Optoma. From what we have seen so far, the HC7800D could give the competition a serious run for the money. It is expected to ship in late November. We will have a full review of the HC7800D posted here in late September. 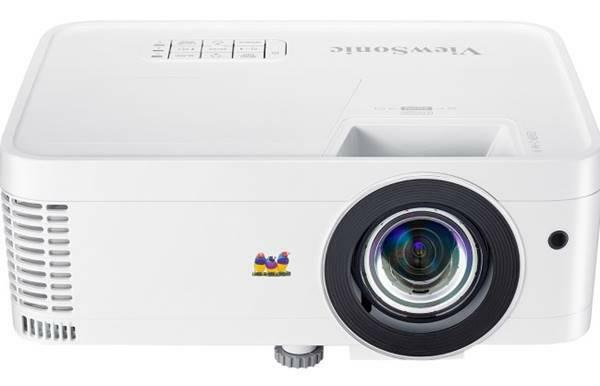 The competition for a decent mid-range 3D projector is really heating up, it's a great time for all us perspective buyers. Just when the general public was about to write off early 3-D projection for home theater as never going to be as good looking as the pristine image that one is able get from good, and I might add very affordable, home theater projectors today, here comes the new crop of PJs for 2011 that show real potential or at least real promise. The manufacturers have, I think, found out what was bugging people about "3D", namely the dim image, the crosstalk, and the PHONY depth in the projected image. With the new crop of 3D units coming out, even a skeptic such as myself, have done a 180 degree turn on my interest in 3D. The new Mitsubishi 7800 is particularly, interesting in that it appears, on surface, to eclipse in certain ways that of the new Panasonic AE-7000- and that's saying a lot. A good shoot out should be scheduled for the Mitz hc4000 vs. Panny7000, or the mitzhc4000 vs. mitz 7800. Thanks for listening. Mario, did you mean prospective buyers, or where you making a pun?